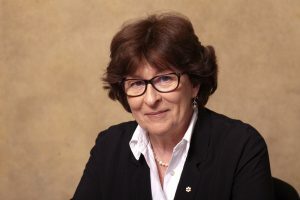 A Canadian national, Louise Arbour served as the United Nations High Commissioner for Human Rights from 2004 to 2008, and as Special Representative of the Secretary-General for International Migration from 2016 to 2018. She also served on the Supreme Court of Canada from 1999 to 2004 and was President and CEO of the International Crisis Group from 2009 until 2014. Ms. Arbour began her academic career in 1974 at Osgoode Hall Law School of York University in Toronto. In December 1987 she was appointed to the Supreme Court of Ontario, and in 1990 to the Court of Appeal for Ontario. In 1995, as Commissioner of an inquiry into the Prison for Women in Kingston, Ontario she produced a report which accelerated the move towards modern institutions specifically designed to meet the security and programming needs of women inmates. In 1996, Ms. Arbour was appointed by the Security Council of the United Nations as Chief Prosecutor for the International Criminal Tribunals for the former Yugoslavia and for Rwanda. After three years as Prosecutor, she resigned to take up her appointment to the Supreme Court of Canada. Ms. Arbour has received 39 honorary degrees and is affiliated with many distinguished professional societies and organisations. In 2009, she became a member of the Advisory Board for the 2011 World Bank Development Report: ‘Conflict, Security and Development’; in 2010, she joined the Global Commission on Elections, Democracy and Security; and in April 2011, became a member of the Global Commission on Drug Policy. Ms. Arbour is a Companion of the Order of Canada (2007) and a Grande Officière de l’Ordre national du Quebec (2009). She is the recipient of numerous medals and awards, including the Franklin D. Roosevelt Freedom from Fear Award (2000), the French Legion of Honour (2010), and has been decorated by Spain, Colombia and Belgium. Alongside former President of Brazil Luis Inácio Lula da Silva, Ms. Arbour received the North-South Prize of the Council of Europe in March 2011. She was named laureate of the 2016 Tang Prize in the Rule of Law category. Louise Arbour was born in Montreal, Quebec and has three children.